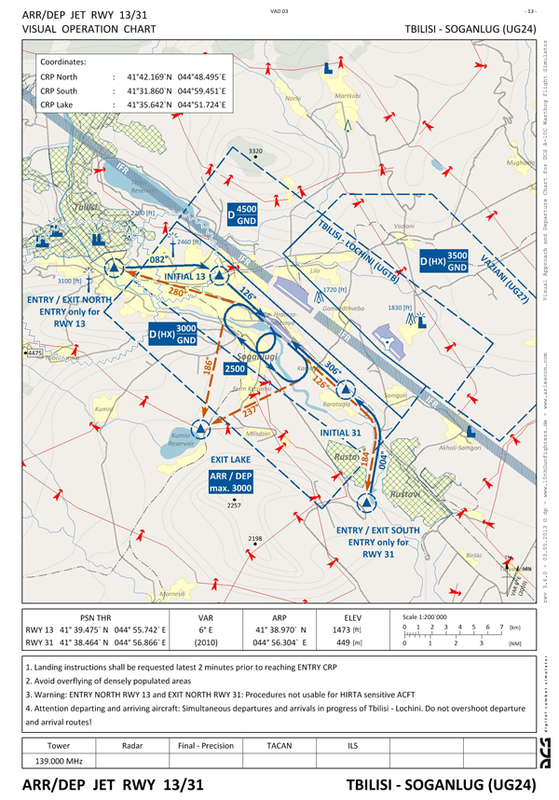 To do justice to the current development of the DCS series and the permanent requests regarding a FC3-specific version, the charts have been adjusted accordingly during the last few months. Therefore this new version is centered entirely on compatibility to Flaming Cliffs 3. An update to the charts was also necessary after the decision to make our squadron-internal software accessible to a broader audience. A special feature that we would like to point out in this context is the full integration of the GND charts in the soon-to-be-released Aries ATC simulation. 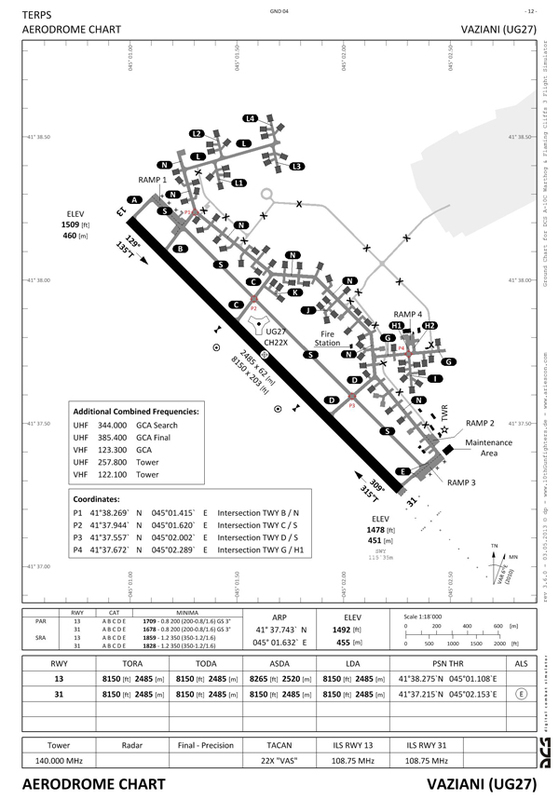 The charts have been exported in the ATC software using geocoding. Added true north headings (for FC3 compatibility). as displayed in the cockpit.